Chatham connection: Sylvia Tyson, CM (born Sylvia Fricker, 19 September 1940, Chatham, Ontario, Canada), is a musician, performer, singer-songwriter and broadcaster from Chatham. She left Chatham in 1959 to perform in Toronto. From 1959 to 1974, she was half of the popular folk duo Ian & Sylvia with Ian Tyson. Sylvia Tyson was made a member of the Order of Canada in 1994. She was nominated seven times for a Juno Award, the first being in 1987 as Country Female Vocalist of the Year. But despite these nominations, she has not yet won a Juno award. The Canadian Music Hall of Fame inducted Ian & Sylvia as a duo in 1992. In 2003, Sylvia Tyson herself was inducted into the Canadian Country Music Hall of Fame. 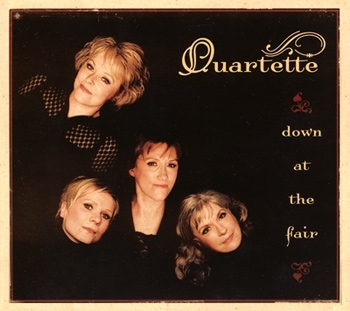 Quartette is a Canadian country-folk group featuring Cindy Church, Caitlin Hanford, Gwen Swick and Sylvia Tyson. Each of the four members also records as a solo artist in addition to their work as a group. * Watch the album preview below. The latter is a story of a deluded woman working as a maid in a hotel who believes that in a perfect world she’d be the Queen of France. The song is a reminder that all around us are people whose lives we know nothing about, and some of them are quite delusional. 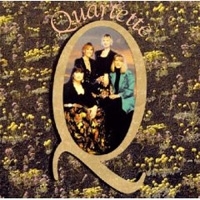 Quartette was formed for a concert at Toronto’s Harbourfront in the summer of 1993. The following year, the group received the Canadian Country Music Association’s award for best vocal collaboration. In 1995 and 1996, it garnered Juno Award nominations for top country group. An hour-long showcase on “Adrienne Clarkson Presents” on CBC-TV introduced them to an even wider audience in 1995. Sylvia Tyson first made her mark in the ’60s with the folk/country duo Ian & Sylvia which recorded 13 albums. Ian and Sylvia, who married in 1964, were at the forefront of the ’60s North American folk movement. Following Ian & Sylvia’s breakup in 1977 as an act and as a couple, Sylvia released seven solo albums. In the ’70s, Sylvia hosted CBC-Radio’s roots music series “Touch The Earth,” and hosted CBC-TV’s “Country In My Soul” series. Sylvia received Canada’s highest civilian award, the Order of Canada in 1995. She is one of the founders, past president, and song honoree of the Canadian Songwriters’ Hall of Fame. She was inducted into the Canadian Music Hall of Fame in 1992, and the Canadian Country Music Hall of Fame in 2003. Buy the CD online here. Note: “I See a Star” is their second Christmas album. Quartette’s fresh and beautiful new Christmas collection “I See a Star”, is a lively mixture of traditional and original material, performed with the group’s trademark sparkling harmonies and unique vocal and instrumental arrangements. Produced by veteran producer, Danny Greenspoon, Quartette’s newest CD features 14 songs in an exciting variety of musical styles blended together in the kind of seamless performance their audience has come to love. With the untimely death of original member, Colleen Peterson, in 1996, Quartette elected to continue performing, and welcomed another musical friend, Gwen Swick, to the group. Gwen’s skills as a songwriter and vocal arranger carried the group to a new level as they prepared to record once again, and the result was “In The Beauty Of The Day,” released in 1998. 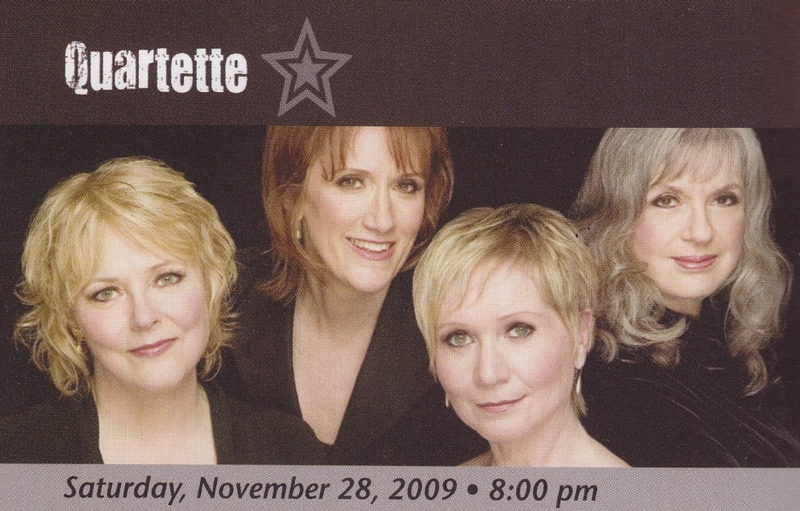 Quartette has received several Juno nominations, won a Canadian Country Music Award for best vocal collaboration, performed with major symphony orchestras across Canada, and recorded the CMT-TV special, “A Quartette Christmas.” They have also released two Christmas CDs, “It’s Christmas!” in 1996, and “I See A Star” in 2002, both of which are collections of traditional and original Christmas songs, and their Christmas shows have become a tradition with audiences across the country. Sylvia has completed her first book, a work of fiction. Note: This year (1995) Sylvia Tyson is named to the ORDER OF CANADA. 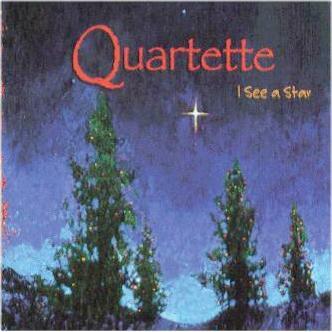 Quartette is a Canadian country-folk group featuring Cindy Church, Caitlin Hanford, Gwen Swick and Sylvia Tyson. Each of the four members also records as a solo artist in addition to their work as a group. In 1994 Quartette won the Canadian Country Music Association’s award for best vocal collaboration, and in 1995 and 1996 they were nominated at the Juno Awards in the category of best country group. Since their debut in 1993, the four members of Quartette have been both publicly and critically acclaimed for their lush harmonies and delightfully diverse repertoire. Cindy Church, Caitlin Hanford, Gwen Swick, and Chatham’s own Sylvia Tyson are seasoned singer/songwriters whose influences range from blues and gospel to folk and country to jazz and pop. Sylvia will perform Saturday November 28, 2009, at the Kiwanis Theatre in Chatham with the Quartette.